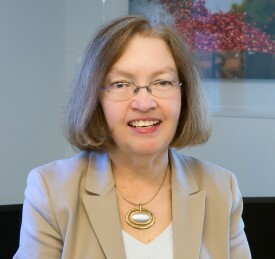 Share the post "Prof. Barbara O’Neill Named Academic Editor of the Journal of Financial Planning"
The Financial Planning Association announced that Barbara O’Neill, distinguished professor and Rutgers Cooperative Extension’s specialist in financial resource management, is the new Journal of Financial Planning Academic Editor, beginning a two-year term Jan. 1, 2016. A prolific writer, she has written over 1,700 consumer newspaper articles and more than 150 articles for academic journals and other professional publications. According to an analysis published in the December 2015 issue of the Journal of Financial Planning, O’Neill has been among the most prolific authors in the core financial planning journals from 1984 to 2014. The mission of the Journal of Financial Planning is to expand the body of knowledge of the financial planning profession. Read full press release.